In this class we'll explore a variety of sizes and shapes. Once you learn the basic technique with your sewing machine, you'll find you can make these in a variety of forms. 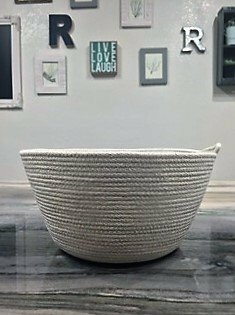 Easily change the size of the bowl, add fabric strips, use varigated thread, theme the project for the holidays...possibilities are endless! A 20% discount is given for fabric purchased for classes at Honey Run Quilters. 100% cotton fabric and thread are recommended. The classroom is open 15 minutes prior to class to allow for set up of your work area. Call or come in prior to class if you have any questions.